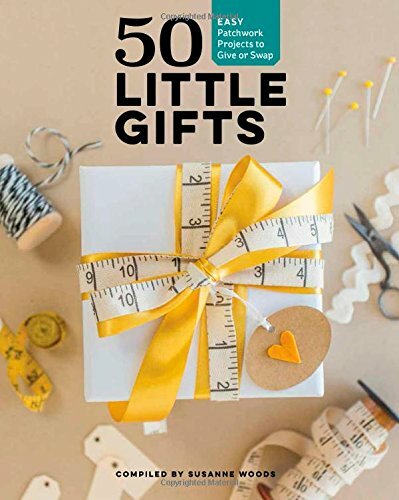 Need a quick project for Christmas gifts or a festive decoration for the kitchen? This terrific "Quilt-as-you-go" stained glass applique' hot pad/mug rug may be just the ticket! 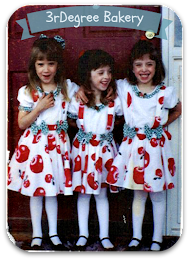 Reposted from my "Twas the Night" holiday blog hop here. 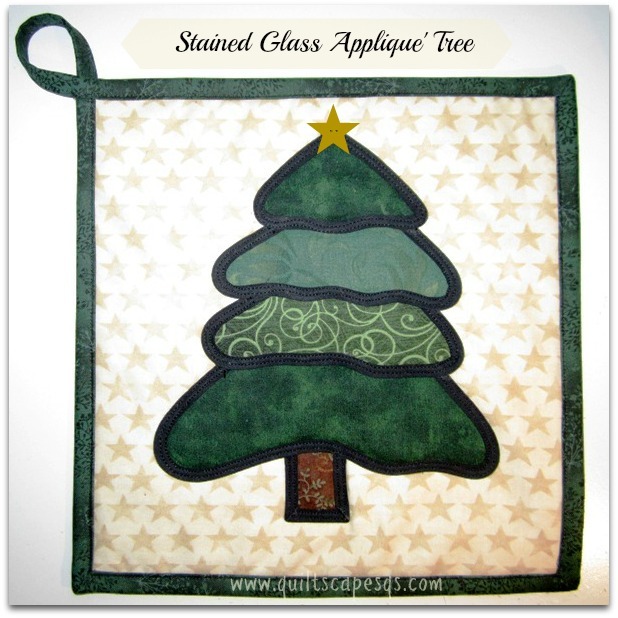 1) Apply Fusible web to brown and green scraps and cut out the shapes. Remove paper backing. 2) Applique'. On a 10" background square, fold in half and crease to find the center, either straight or on the diagonal. Beginning with the trunk piece, center and press with a med-hot iron to fuse into place. 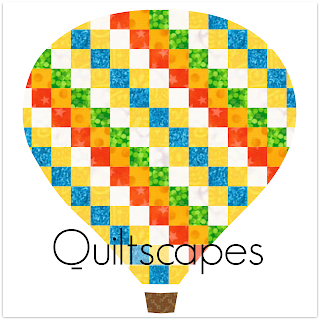 3) Fuse and Quilt. 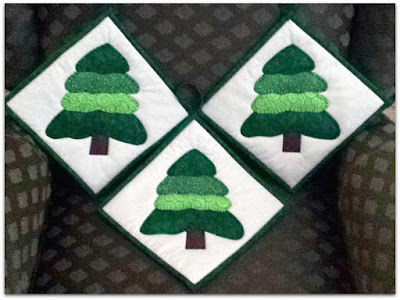 Fuse the 1/4" fusible bias tape to outline the lower edges of the trunk. Layer backing, batting pieces and top together, pin to baste, then use the double needle to quilt through all layers, stitching through the center of the bias tape. 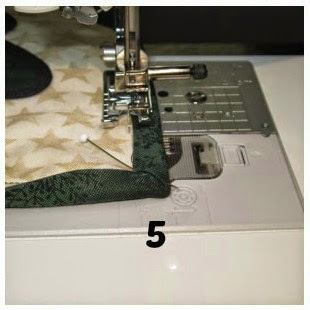 Continue by adding each section as pictured, overlapping the raw edges of the previous section, fusing in place, then fusing the bias tape on the lower edges and stitching the bias tape with the double needle. When you get to the last piece, start at the top corner and fuse and stitch the bias around the entire piece, tucking raw edges under to finish. 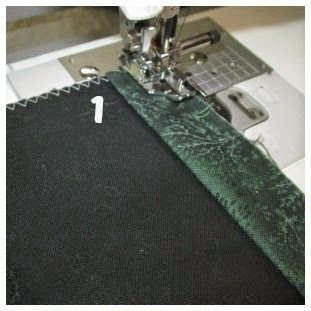 Trim to 9" square, baste edges, add a quick binding (see steps below), stitch a button to the top if desired, and your project is complete! 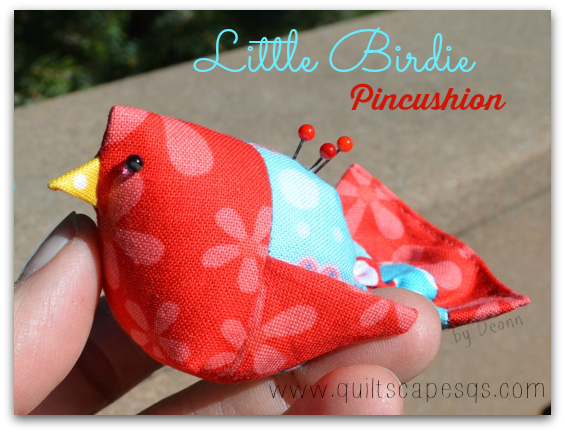 Note: If you don't wish to use the fusible bias to finish the edges, omit that step and use a single needle with a blanket-stitch instead, quilting through all layers! 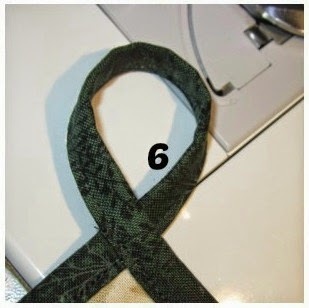 Use a 2 1/4" x width of fabric strip for binding. Fold strip lengthwise in half and press. align raw edges at top and sides, then stitch using 1/4" seam allowance. 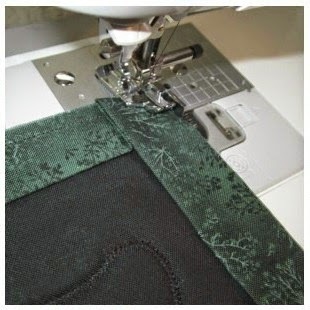 2) Stop 1/4" from the corner, backstitch, remove from machine and clip threads. a) Fold binding at a 90-degree angle to create the mitered corners. 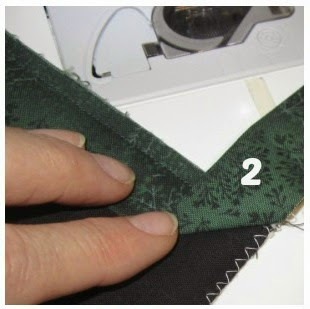 2 b) Fold binding back to align raw edges; fold is even with top quilt edge. 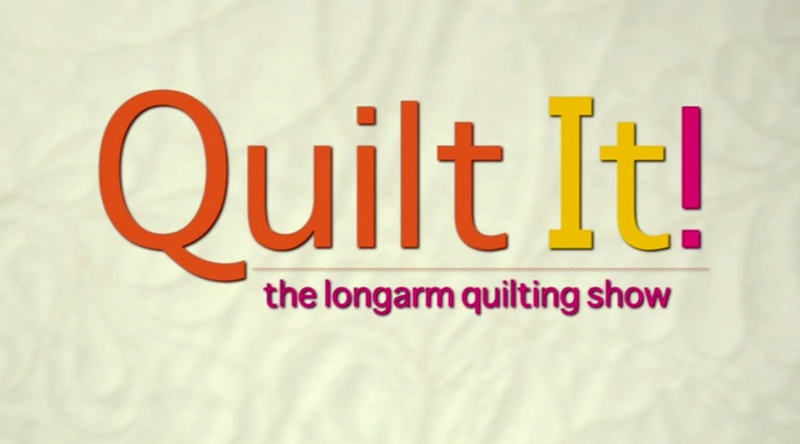 Start sewing at the edge and continue stitching. Repeat for the next 2 corners. around to the front; stitch binding tail over beginning corner. 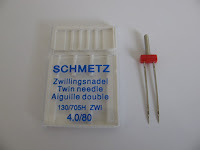 Remove from machine and clip threads. 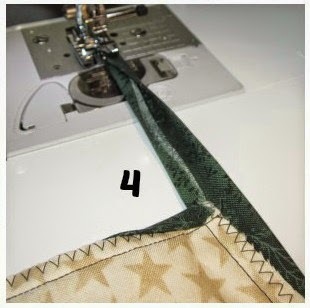 Leave a 4-6" tail of binding at the end. 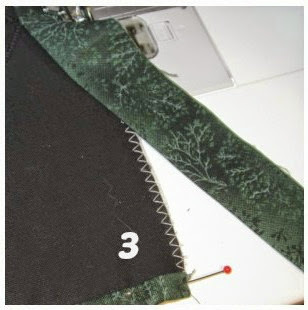 4) Fold leftover binding tail into thirds, then edge-stitch enclosing raw edges. 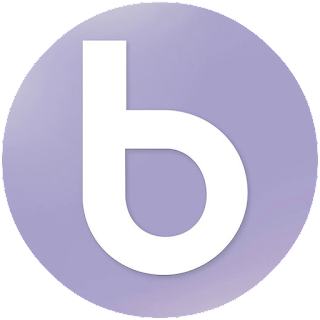 to the front, pivoting at corners and back-stitching at the end. pin in place on back then machine-stitch to finish. This will be especially useful when making all those sweet treats for the holiday season! 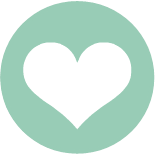 Check out this Virtual Cookie Exchange and collect some fabulous recipes! Happy "National Cookie Day"! 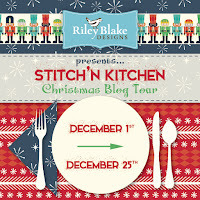 And the Stitchin' Kitchen Blog Tour is also going on right now! Check back on Monday to see what else might be cooking around here when it's my turn. See you then! Lovely little trees! Looks like an excellent tutorial that I wil save for a later day. Too many UFOs right now, but thanks so much!